Originally released on CD by Beirut based Al Maslakh Recordings. "The practitioners here, three trumpeters, Axel Dorner, Franz Hautzinger, Franz Hautzinger, and Carl Ludwig Hu"bsch on tuba, practice a unique approach to their instruments. 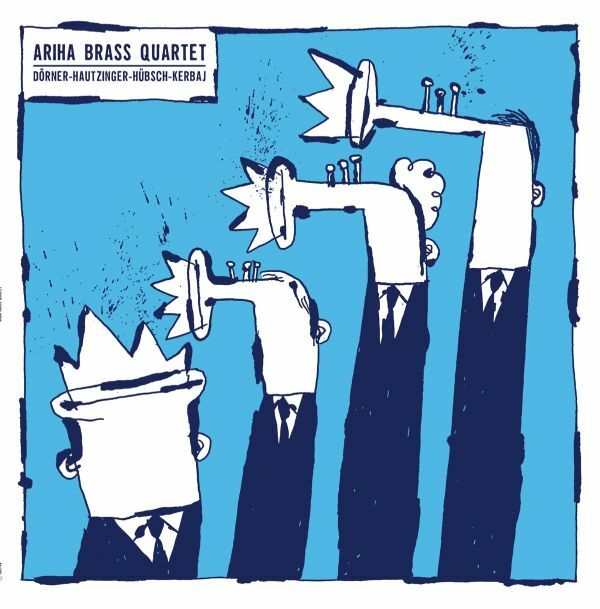 All four musicians set aside a traditional approach to playing, substituting breath for notes, abandoning a mouthpiece, and applying amplification to microscopic sounds.The quartet recorded this session in Beirut 2013. We're proud and excited to present a magical live recording from the legend that is Pierre Bastien, showcasing his mecanoid orchestra at its intricate best during a performance at Studio M, the historical studio-concert hall of Radio-Television of Vojvodina, Serbia.Around 1986, French composer and multi-instrumentalist Pierre Bastien started creating and building his own orchestra called Mecanium: an ensemble of musical automatons constructed from meccano parts and activated by electro-motors, that play on acoustic instruments from all over the world. 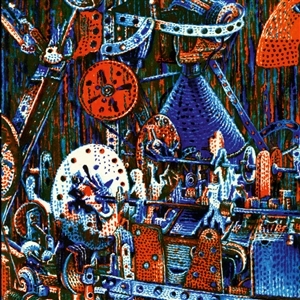 On this record the Mecanium plays amplified Meccano parts, drums, reeds, rubber bands, paper, nails and flutes whilst Pierre plays kundi, rubber band, prepared trumpet, video loops, nail violin and r'bab. Recorded live at Studio M, Novi Sad, October 8, 2016. 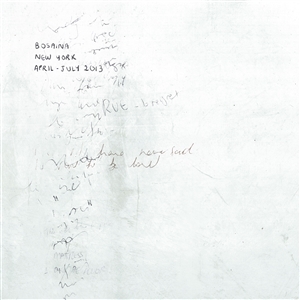 All compositions and live mix by Pierre Bastien Artwork by Stephane Blanquet File under: Avant Garde, Robotic Music. First split LP in a brand new series of collaborations, pairing artists working on the fringes- or not at all. This first split pairs Brighton's Blood Stereo's tape gonk with Hair & Treasure's farm life loops. Blood Stereo are Dylan Nyoukis and Karen Constance, a British institution, the sound complete immersion for people who don't immerse easily. Idiot twins Burchill and Slim may behave as though they own Sussex, but Constance and Nyoukis are immune to their surroundings, making livid eyes at confused glitter vixens up and down this squalid Isle. Hair & Treasure are Alex Jones and Gonalo F Cardoso, a prankster randy dust duo from nowhere dwelling on tape loops and webbed finger piano ballads. The material was culled from a mound of who cares electro-acoustic improv sessions as an offering to the associated deities of the zwieback buttermilk trade. Recorded in Port au Prince by sound artist Flix Blume in early December 2016, Death in Haiti plunges the listener into a world of pain, loss and solemn celebration as each funeral comprises of its own live jazz band as well as a plethora of characters. French sound artist Flix Blume keeps pushing the boundaries of field recordings for our enjoyment. "Fog Horns" captures the sounds of boat horns in Piraeus, Athens, Greece, the port city that serves some of the most important ferry routes in Greece nowadays. Yes, boat horns are annoying, sometimes disturbing and even absurdly disrupting if you live in a port city or one that is blessed with the arrival of cruises. We all know that. 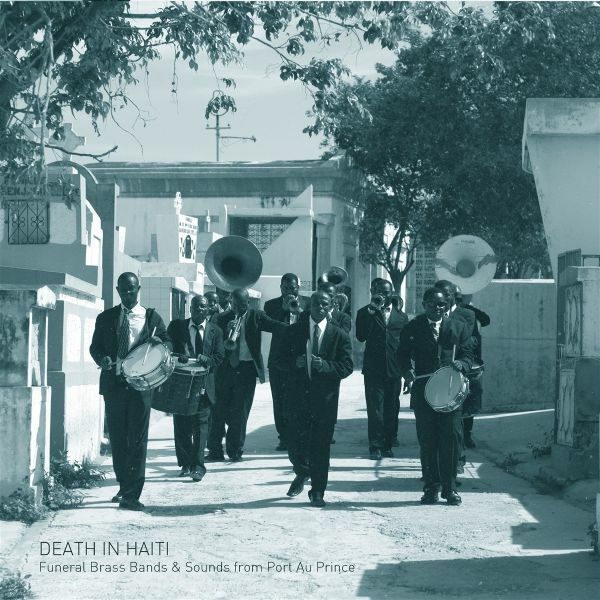 But we also knew that recordings of funerals could be tricky, and Flix Blume pulled a gem out of last years "Death In Haiti - Funeral Brass Band & Sounds Of Port Au Prince (CREP51)". And he has done it again. 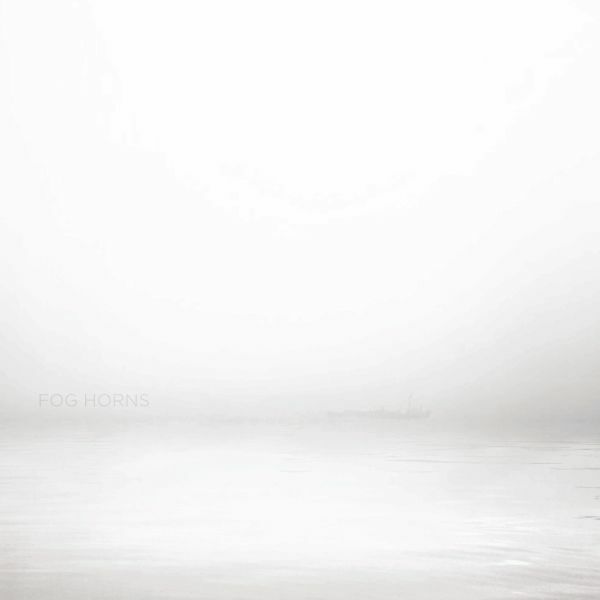 The A side reveals a long track recorded during a fog horn concert whilst side B features three 'remixes' of the same recordings, paying respect to what Ingram Marshall did in "Fog Tropes" in three different 'movements'. In a way, B side sounds like the perfect soundtrack for the recent remake of "Suspiria". But Thom Yorke got in the way. Jokes aside, theres something magical about these horns. In the eighteen minutes of the first side, Flix Blume explores the concept of a concert played by those horns. The horns dominate but sounds of the surroundings create a perfect balance to the drone hysteria. The surrounding sounds are the heartbeat of this track. The horns are the metal section of an orchestra, while the rest works like the strings. Hidden melodies are revealed when you listen to this with your full attention, and the more you do it, the horns become less present, vivid. Its one of the many crafts of Flix Blume, the more you live with his music, the more you focus outside the plot. If those eighteen minutes sound tremendously real, the three tracks on the other side feel like a horror film. The warmth disappears to become cold ambiance, beautifully textured and enigmatic sounds take over. Horns are still heard, but theyre a different kind of horns. It seems that Flix Blume is playing with our perception, from bliss to horror. A honk will never be the same again. ...THE SHORE." Collection of 2 thoughtful EPs by Cairo based artist, Bosaina.Bosaina is a Syrian/Egyptian singer, songwriter & producer known for her work in the Kairo Is Koming Collective as well as her involvement in music-space-turned-club-night VENT.Her autobiographical work takes on a magical insular quality through field recordings and sentimentally driven compositions that unfold in stolen time. On both EPs presented here, her love affair with cinema, interrupted by decaying urban life (New York April-July 2013) and literature (Two Names Upon The Shore) serve as the focal points for her intimate productions; fragmented and wistful soundscapes that combine her affection for the piano with ambient textures from seashore to life underground.A unique album to get lost into on long summer nights. Much of the discussion around unmanned aerial vehicles (drones) is directed towards their capabilities of surveillance and attack. However for those living in areas of conflict, it is the engine sound of the drones that has devastating psychological effects. 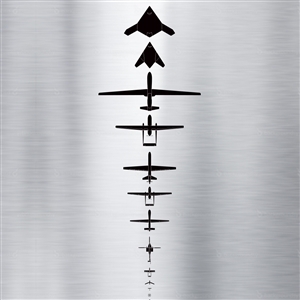 Military drones fly at high altitudes and are more easily heard than seen. Even the origin of the word 'Drone' is rooted in sound, and comes from the sound of the male honeybee. The sound of drones in areas of conflict create soundscapes of terror that can go on for many hours. The buzzing of the engines have generated nicknames like zanana in Palestine, and bangana in Pakistan. 'A Study into 21st Century Drone Acoustics' is an auditive investigation by composer Gonalo F. Cardoso (Discrepant records) and designer Ruben Pater (Drone Survival Guide). Inspired by the common task (Fedorov) and the people of Pamir in Tajikistan, filmmaker and sound artist Carlos Casas deconstructs far away sights and sounds to create a unique field recording experiment that equally worships past, present and future traditions.Nikolai Fedorov thought the Pamir to be the cradle of humanity, the hidden and forgotten nest, a pyramid of skulls that held the secrets of past human kinship,He believed that most of Asian myths of human origin pointed the Pamir region as their inception. For the Chinese, Indian, and Semitic myths that that mountainous region of Central Asia, often referred to as 'the roof of the world' was the key to understand and start his resurrection plan. Created for a one off live performance commissioned by Detlef Diederichsen at the House of World Cultures in Berlin. It was performed live to great acclaim at the Festival "Evil Music" or "Bose Musik" in October 2013. The idea was to explore the death metal sound whilst adding strong tropical elements. "Tropical Gothic" references Cooper's beloved areas of 'the South' with a Gothic, dark, remote interplay. Mike Cooper studies different approaches to his method of uniting guitar and field recordings into a constant stream of sound, where he delivers chaos and melody. With another grand collage artwork by Evan Crankshaw. Yannick Dauby returns to Discrepant for Vol2 of his ongoing study of the sounds and sights on the Penghu Archipelago, Taiwan. Penghu Experimental Sound Studio Vol2 uses interviews, field recordings, found objects and subtle electronic manipulation to transpose Yannick's impressions of the island's natural beauty. All sounds, field recordings and improvisations on electronic instruments, are from Penghu, Taiwan. Interviews of children extracted from the film "Childhood of an Archipelago", by Yannick Dauby & Wan- Shuen Tsai. Mysterious French outfit return to Discrepant in full exotic wind force after their sell out cassette, Un Cocktail pour la fin des temps''. Beaute des Mirages picks up on the same themes of frantic, abstract exotica and concrete cocktails the French act is known for. Running for two long 18min sides full of fake(?) vintage atmospheres and armchair jungle hallucinations. An abstract journey into a beautiful (and sometimes scary) world of mirages. All perfectly illustrated by yet another mesmerizing artwork collage by US artists Evan Crankshaw. South Californian dons of occult electronics, German Army return to Discrepant with their first solo vinyl outing LP for the label after an inaugural tape back in 2015 and a split collaboration with Old Komm in 2016. Taking the events described in the 1982 book of the same title, the CIA coup in Guatemala in 1954, the duo eloquently translates this textbook case of bullying relationship between the United States and the Third World. Using some of U.S. government documents and interviews with former CIA agents they go deep in the Guatemala jungle through their trademark use of guitars and electronics drenched in echo and reverb of times past. Another mysterious entry from the shady San Bernadino duo, showing their interest and research in poorly documented history of the 21st Century. "German Army could end up winning an Oscar for soundtracking a particularly dark war film or dying in the gutter when none of us are looking. Let's hope they keep delivering the heroin highs, and lows, we've come so accustomed to nodding off to." Edition of 300 copies. Imaginary soundtrack to the lost 1976 Russian-American dystopian classic, Disquiet. Russian occultists Old Komm collaborate with the south Californian dons of austere electronics German Army, bringing to life the made up soundtrack to a film that never was. Disquiet tells the story of a child born to a desolate, post-apocalyptic world, war torn and fractured by greed. Organ tones and broken exoteric bumps coexist with dark ambient themes and cavernous beats. Remnants of wry memories, smothered dreams, dim visions of a world that never was. Gonzo is musician, DJ and Discrepant headhoncho, Gonalo F Cardoso. Since starting the label back in 2010 Gonzo has released a series of limited collage tapes on the label, Dies Irae being the very first one back in 2012. He now decides to give it the vinyl treatment with specially commissioned artwork from Belgium artist, Elzo Durt. 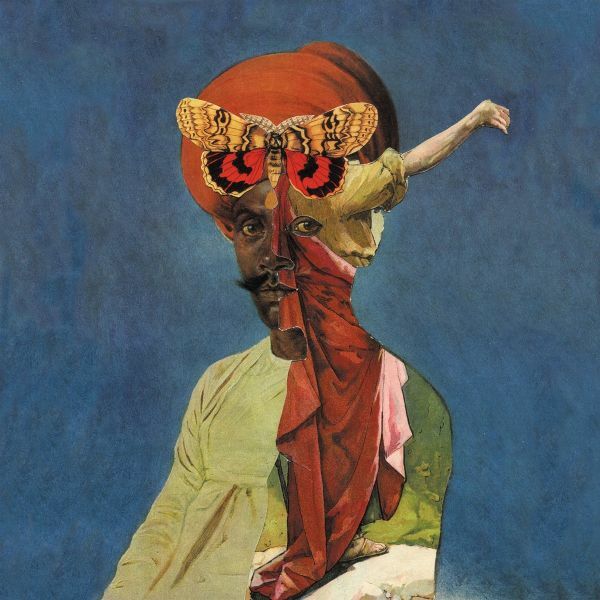 It unapologetic stitches together field recordings, sound generators, random loops and 'unfinished' compositions to accompany weird spoken word moments or uncorrectable views and opinions. Gatefold sleeve. File Under: Rock/Psych/Free Jazz. RIYL: Sun Ra, Uncle Acid & the Deadbeats, Ohm. Japanese artist Sugai Ken presents a kaleidoscopic radio play inspired by the traditional Japanese art of Mingei. For 'Gongs', Laurent returns to his soundscape approach not heard since the 'Xinjiang' LP (2011) and further develops his unique re-versions around the extensive Gong orchestra recordings he made on location in the remote regions of Cambodia and Laos. The two side-long tracks that make up 'Gongs' were recorded on location and re-arranged by Laurent Jeanneau in Dali, Paris and Berlin. Vinyl pressing of 500 copies. Another unique document of Laurent Jeanneau's collection of surreal soundscapes of augmented field recordings, this time using two very different source recordings to create his own unique brand of alien music. 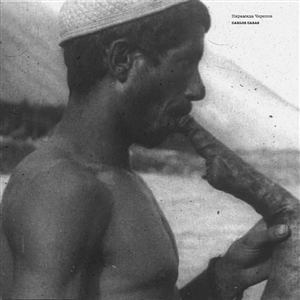 Using contact mic recordings of various Turkish instruments, saz, cura and tanbur (played by Remi Solliez), Laurent Jeanneau alchemically collages them with his archival recordings of South East Asia to create a surreal space between the instrument's tones and resonances with the other-worldly beauty of the field recordings. Pali Meursault is a sound artist, composer and sound designer. His electroacoustic and sound art research takes different shapes: compositions for records, radio works, installations or performances. Environmental sound recording is central in his work, which takes from Musique Concree and the sonic exploration of soundscapes. For stridulations, Mersault confronts recorded and performed sounds, composition and improvisation: field- recordings of animal communication (insects, birds and bats recorded in France, Japan and South America) mix and dialog with the onification' of fluorescent tubes. Both the environmental sound matter composition and the electromagnetic instrument have evolved with performances between 2014 and 2017. Little by little, new recordings were collected and new electrical and electronic supplies were added to the setup. The record is altogether the outcome of that process and a different take on the project, leaving the synesthetics of the flickering lights but embracing the deepness of lind' listening.